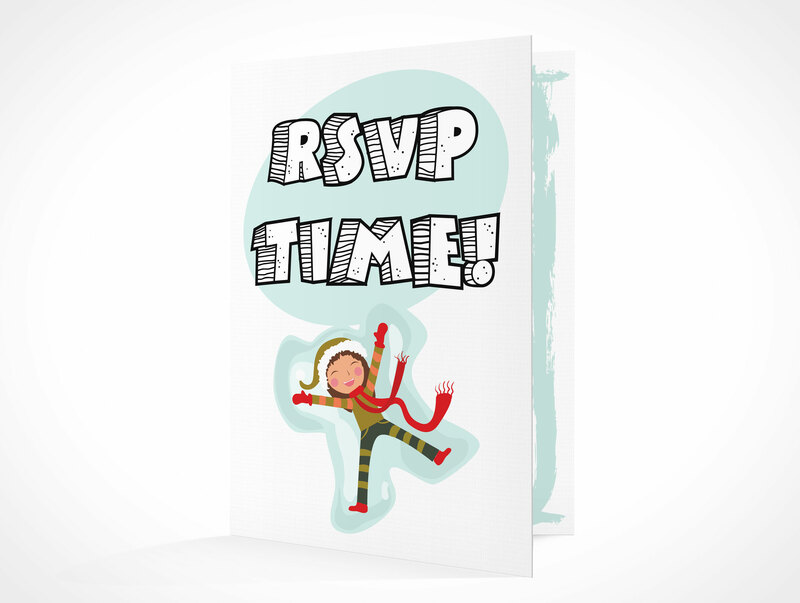 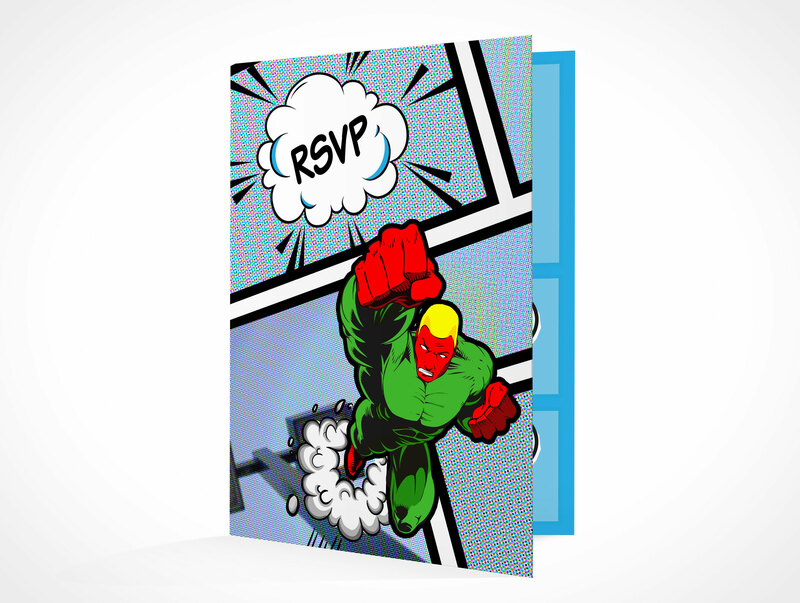 RSVPCARD001 is a common bi-fold rsvp card for inviting friends and acquaintances to hosted events. 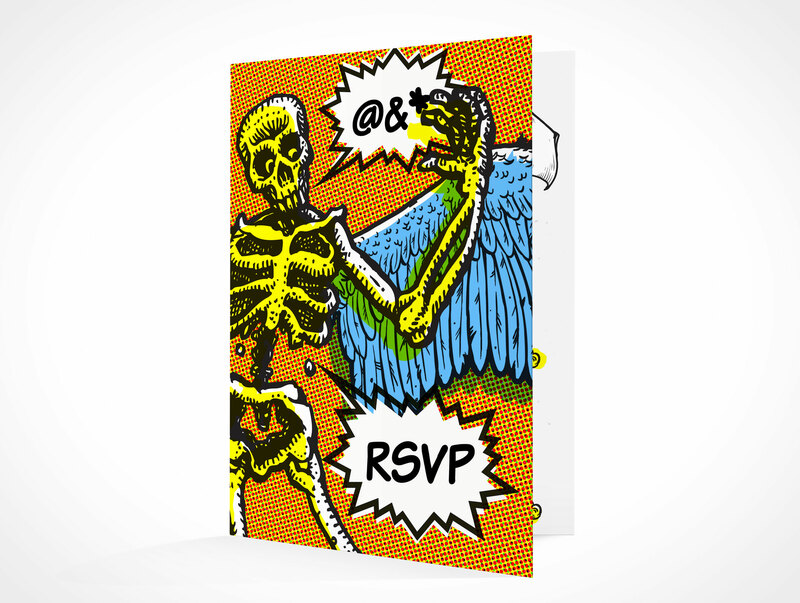 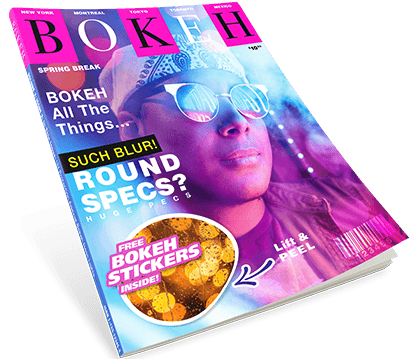 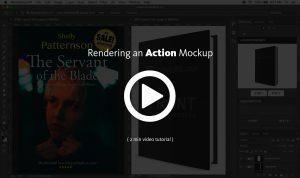 This PSD Mockup of an rsvp card replicates a generic 3.5in x 5in card (7×5 folded in half) which renders your invitations for birthday cards, greeting cards, holiday cards, graduation cards and Halloween Cards to name a few. 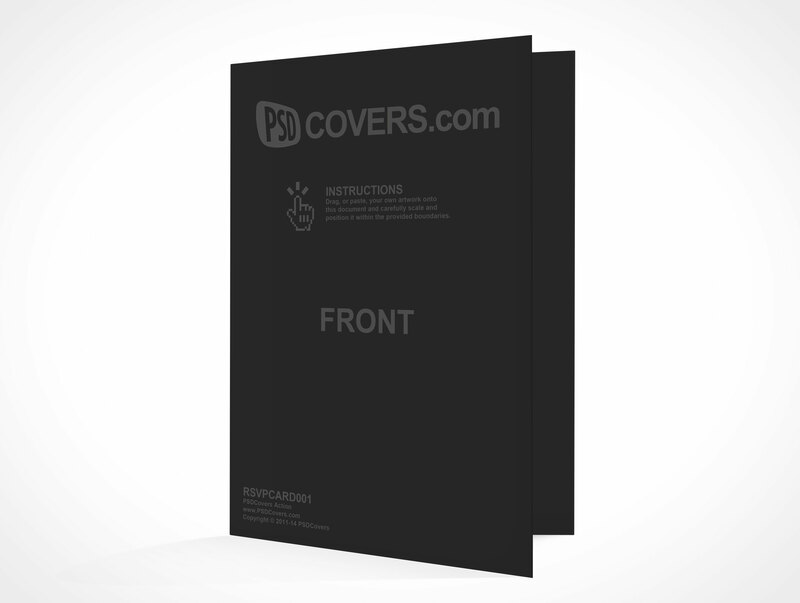 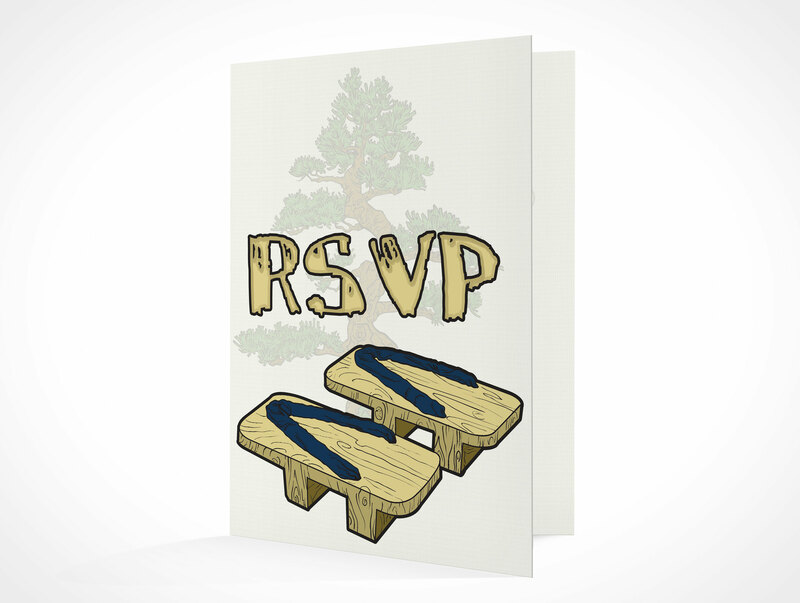 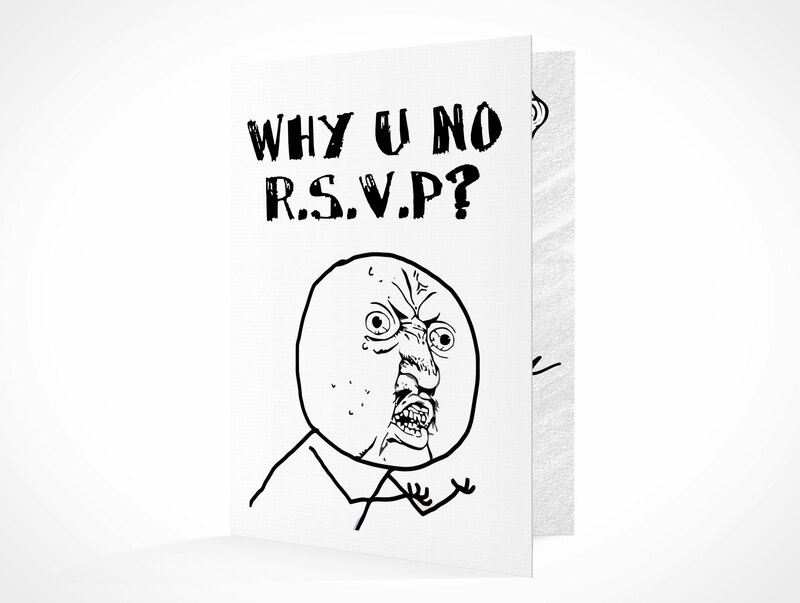 This rsvp invitation simulates a card standing at a 30° angle with the inside right face only partically visible.